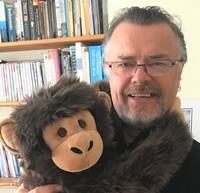 Jon Blake is the author of over sixty books, primarily for children and teenagers: most recently "Thimble Monkey Superstar" which was shortlisted for the 2017 Laugh Out Loud awards (Lollies), and its sequel "Thimble Holiday Havoc". Thimble features disabled narrator Jams Cogan, based on Jon's son. Jon was brought up in Southampton and now lives in Cardiff where he teaches creative writing at http://parkwrite.com. His successes include the picture book “You’re A Hero, Daley B” (ill. Axel Scheffler, worldwide sales of over 250,000) and “Little Stupendo” (shortlisted for the Children’s Book Award). Other big sellers include “One Girl School” (over 35,000), "Stinky Finger's House of Fun" and literacy hour favourite “Mark Two”. In 1995 Jon’s TV pl Jon Blake is the author of over sixty books, primarily for children and teenagers: most recently "Thimble Monkey Superstar" which was shortlisted for the 2017 Laugh Out Loud awards (Lollies), and its sequel "Thimble Holiday Havoc". Thimble features disabled narrator Jams Cogan, based on Jon's son. In 1995 Jon’s TV play ‘Life’ was shortlisted for a Writers Guild Award, while in 2002 he won a BBC Talent award for his adult radio sitcom “Degrees R Us” (series broadcast on BBC Radio Wales). Jon is particularly noted for original and anarchic humour, typified by the “House of Fun” series. However he has also written politically-charged fiction for an older readership. Born in Mortimer, Berkshire, and living in Southampton between 1960 and 1973, Jon went to Exeter University, but dropped out from his drama course and worked in a furniture shop in Winchester before continuing studies at York University and Bretton Hall. He subsequently became a teacher and community centre warden in Peterborough and Nottingham. Jon moved to Cardiff, Wales in 1987. Besides being a writer, Jon has been involved in many community projects and is also an activist, musician and songwriter. In 2011 he collaborated with Mark Roberts (ex Catatonia) on the album This is the Sound of Adamsdown (www.soundofadamsdown.com). This features a range of Cardiff inner city residents. Jon’s critically acclaimed 2008 novel, “The Last Free Cat”, has a website at http://www.feela.co.uk . "The Last Free Cat" was selected for the ILA's Young Choices list of 2013 - the very best YA books published in the US. To ask Jon Blake questions, please sign up. 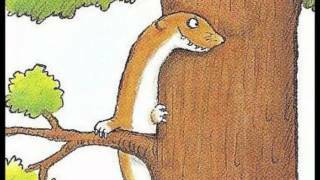 I have to ask, was this book an allegory about the fear mongering and ubber wealthy that seem to control government today? Thanks for your question. TLFC certainly does relate to the world we live in today, how the powerful maintain their position and particularly how things which were free or commonly owned are now controlled and sold for profit. Hiya :) What you think would happen to Jade and Kris when Jade returns? You're a Hero, Daley B! Description: Extract from Snails and Lovers, young adult novel first published as Geoffrey's First and now available in a Kindle edition. Described by Sunday Times as "a funny and moving love story". Jon Blake made a comment on The Last Free Cat — Why oh why is there no sequel??
" Thanks for your messages Skye. I think the problem is that the publishers never felt the same way as readers like you! But as the book is well known a Thanks for your messages Skye. I think the problem is that the publishers never felt the same way as readers like you! But as the book is well known and well reviewed I think it is feasible to republish it myself and then write a sequel. In fact I had plans to do it at the end of last year but a big tax bill meant I didn't have the funds. So I'm now considering some kind of crowdfunding, but I'll need plenty of support - maybe an incentive could be to choose the name of Feela's kittens! If I do it I'll announce it here. There's a Goodreads group called Fans of the Last Free Cat you can join. ...more "
Jon Blake joined the groups Last Free Cat fans and What's the Name of That Book??? “Die anderen Kaninchen hüpften herum und schrien Hurra und umarmten sich. "He Duda, du bist ein Held! ", riefen sie. "Wie komisch", überlegte He Duda.
" Thanks. It is actually 160, just listed 144 on Amazon. " ― Jon Blake, You're a Hero, Daley B! Join Jon Blake as he discusses his acclaimed YA novel The Last Free Cat from the 15th to the 20th September.